Community Members participating in a room have the ability to choose a wall and export the wall into a Zip Archive. The export will highlight some of your options that are available. Export only the items you selected on the wall or Export ALL wall items. 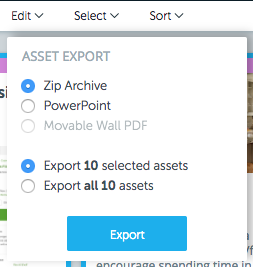 Choose Export Type - Zip Archive, PowerPoint or PDF (moveable walls only). Tip: For those without PowerPoint, pptx exports can be opened in Keynote. Check your email! You will receive an email notification stating your export when it is ready to be downloaded. Exports are only available for 72 hours, if you don't download your export with in that time you will need to trigger a new export. Click "View export details and download file" for it to bring you to the export details. This will highlight the size of the export, the wall you exported and the export options you chose. Then click download to obtain the Zip Archive. The Zip Archive was created with two ways to view the content - Images, Sticky and Link information or JSON Files. Your Zip will include the Room and Wall name including the export date. View the Files Folder for All the Images on the wall. 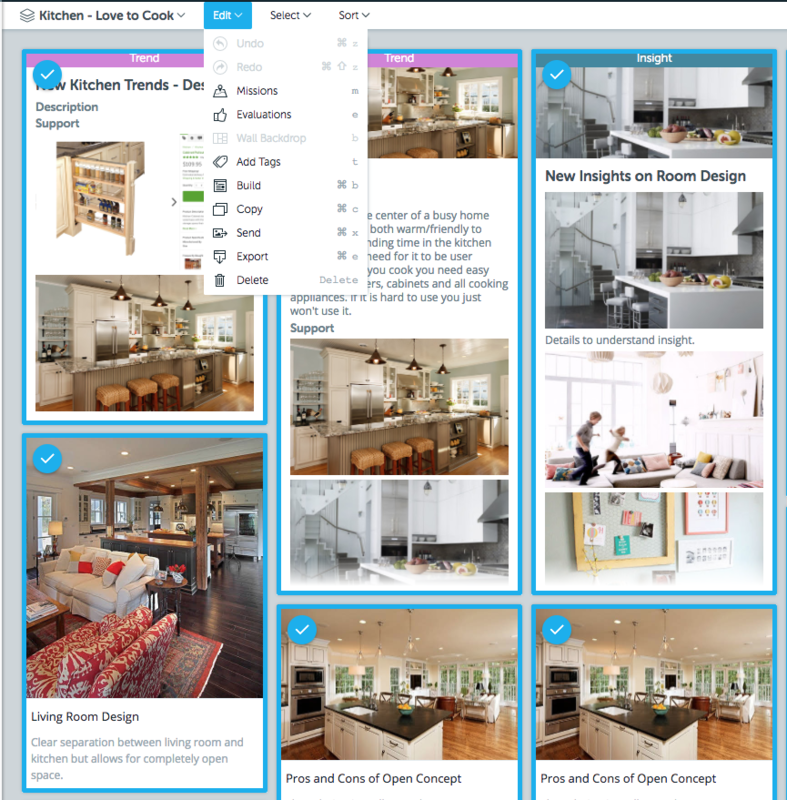 The Links.csv includes all the URL links from the wall and Notes.csv includes the content from each sticky note along with the authors name, sticky color and more. If you are looking to process Batterii exports in order to import your wall content into another system these are the files you will need. A developer can use this information to convert your Batterii content into the new system. View your personal export history by selecting "Your Exports" from your Profile dropdown. Tip: Do you have a bunch of cards or images in your room that you would like to print? You can! Just export them from your wall into a .zip and they will be located under the "files" folder. Cards will be created as a PDF and Images will maintain the original format (jpeg or png).